From smart bags to smart clothes, we are confident that these staple must-haves will tech up your wardrobe minus the expected futuristic tin-foil silver. Feeling a bit lost when it comes to wanting to buy fashion tech? Are you unsure about where to start? Well, let us take you by the hand and introduce you to brands that are worth your time. From smart bags to smart clothes, we are confident that these staple must-haves will tech up your wardrobe minus the expected futuristic tin-foil silver. 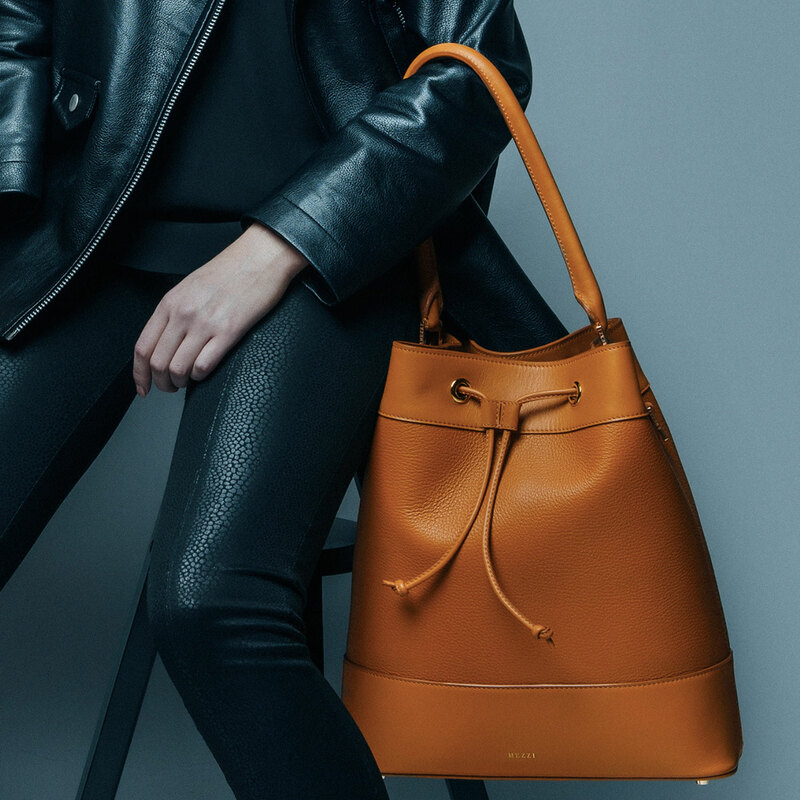 Disrupting the accessories market all the way from Vancouver, Canada, Mezzi was the idea of Venture Capitalist Keir Reynolds. Having witnessed many business women sacrificing style for technology, Reynolds was inspired to find a way of marrying design and function in stylish harmony. His goal was to give women access to beautiful handbags that would support their everyday technology without having to downgrade their wardrobe choices. With so much going on, how can you not appreciate this kind of development within the smart glasses space? It is quite inspiring to witness companies throw their ideas into the arena, case and point Vue Smart Glasses. Stylish and discreet, Vue smart glasses are more than just another pair of glasses. The Vue frames have been designed with the kind of integrated technology that is seamless and invisible. The glasses also brag smart features such as streaming wireless audio via bone conduction speakers, tracking steps, calories and distance and notifications when you receive an email or text message. Targeting both men and women, CEAM’s contemporary designs have been created using a fabric that is stain-resistant, water-repellant, and odor-resistant. Easy on the eye, the collection, made of 100% cotton, includes dresses, cropped shirts, oxford shirts, tees and outerwear. We love their minimalist look range. 2015 was the year we were introduced to luxury brand EMEL + ARIS. Founded by Rana Nakhal Solset, the British label lifestyle collection is all about beautifully tailored Smart Coats designed for both men and women. The stylish wearable tech collection introduces a revolutionary heating technology that uses a lightweight, inert polymer instead of wires and produces far infrared (FIR) heat energy that is absorbed by the skin to heat the muscles and increase blood flow. The benefits of FIR therapy have long been recognised and recent research has validated the vast range of medical claims of FIR, including increased blood flow, pain relief and boosted immune system. Delving into wellbeing wearables, the Moodmetric ring is the brainchild of Niina Venho and inventor Henry Rimminen. Moodmetric is a device that successfully uses technology to promote happiness. The wearable measures the autonomous nervous system signals used to understand emotional reactions and improve quality of life. Simple, functional and scientific, the beautiful ring will track your emotional levels, learn to calm your mind, log your emotional price and offers you the simplest way to manage your stress levels. Making use of our waste, Rothy has come up with a brilliant way of making waste-free shoes using ground-up bottles. Founded by Roth Martin and Stephen Hawthornethwaite, Rothy shoes dramatically reduce the materials normally used during construction. Rothy’s are “knit to shape” in three dimensions and come out of the machine fully formed. The amazing part is that the San Francisco-based startup shoe knitting process only takes six minutes. Currently only available in the US, we can’t wait to see these to be shipped worldwide. e-Senses is the company behind Helios. Founded by Gleb Nikeschin and Marina Nikeschina, the Netherlands based company has developed a smart ring that will help you find the perfect balance between sun safety and getting enough sunlight. Mimimalistic in its overall look, Helios is a multifunctional device with an equal combination of jewelry and technology. When the majority of consumers think of 3D printed jewellery, they envision inexpensive plastic pieces with a homemade feel. Very few think of high end luxury, and it is no wonder, since many luxury brands do not share this well kept secret. One of these brands is Banneya. They have been quietly embracing technology with the hopes of “democratising” luxury manufacturing in the UK. With many ‘yogis’ born every minute, there is great importance placed on knowing the correct form of your positions. This is when Nadi can step in and be your Yoda to your yoga. Created by technology company Wearable Experiments, Nadi is the brainchild of founders Billie Whitehouse and Ben Moir. Their newest product has the ability to communicate and correct your form. Specializing in human/computer interaction, Wearable Experiments have created a language that allows the skin to become the interface. Kate Spade is no stranger to wearable tech. 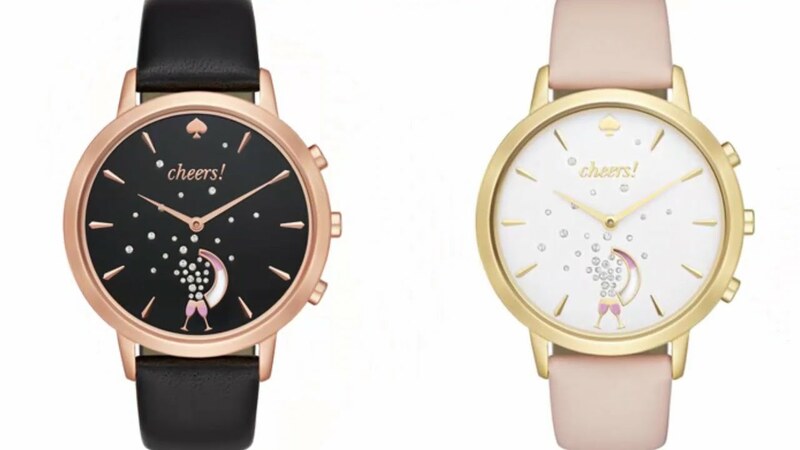 Besides her hybrid smart watch, which starts at 249.00 € (£199), is a metro grand watch that links automatically to the Kate Spade New York connected app. Providing bursts of motivation, the watch keeps you stylishly organized, tracks your steps and sleep. It also helps you set personal goals and alerts you with vibrations. Other features that young Millenials would love, include the ability to control music and take selfies. Our favourite perk is that the Kate Spade smart phone never needs charging!